It was difficult to take a pic of this sculpture as it has obviously been adopted by the children as a playground. Actually, the smooth form of the sculpture made of picrite is a charming place for climbing around and to slide down. 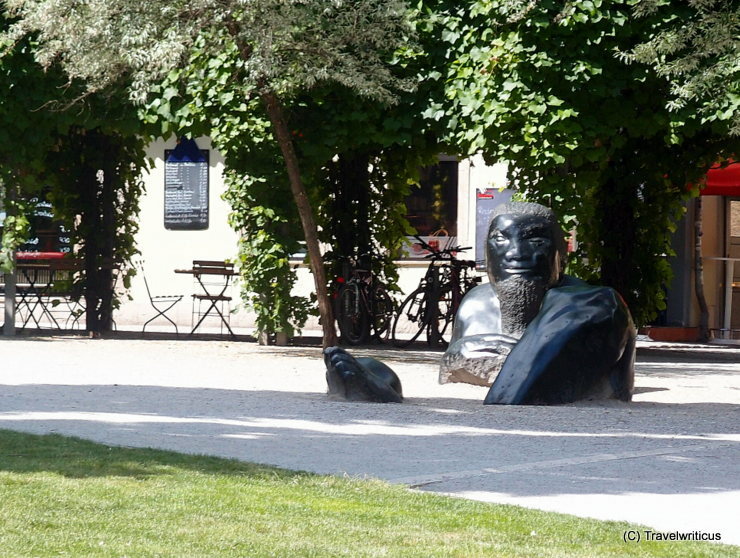 This entry was posted in Sculptures and tagged Germany, Thuringia, Weimar by Travelwriticus. Bookmark the permalink.